MANILA, Philippines — AMA University went on a big run in the fourth quarter to repulse MP Hotel, 85-76, for its first win in the 2015 PBA D-League Aspirants Cup Monday at the Ynares Sports Arena. JR Taganas came away with a double-double with 17 points and 18 rebounds and Philip Paniamogan scored 10 of his 16 points in the fourth period for the Titans, who won their first game in three starts. “Malaking bagay itong panalo na ‘to sa kumpiyansa ng players (the win is big for the confidence of my players),” said AMA coach Mark Herrera. The Titans went on an 18-0 tear to take an 82-67 lead after a 3-pointer and a layup by Paniamogan with 2:09 left. 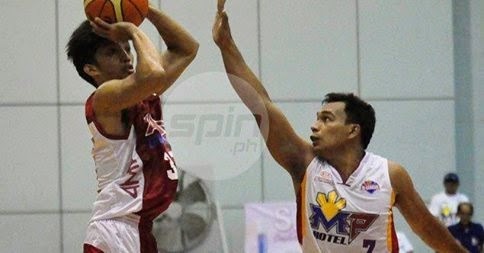 “Expected na yan kay (it is expected of) Philip being a veteran in the NCAA and the D-League,” said Herrera.